Tag team wrestling has been a big part of Stride Pro Wrestling. This Saturday night will be no exception. 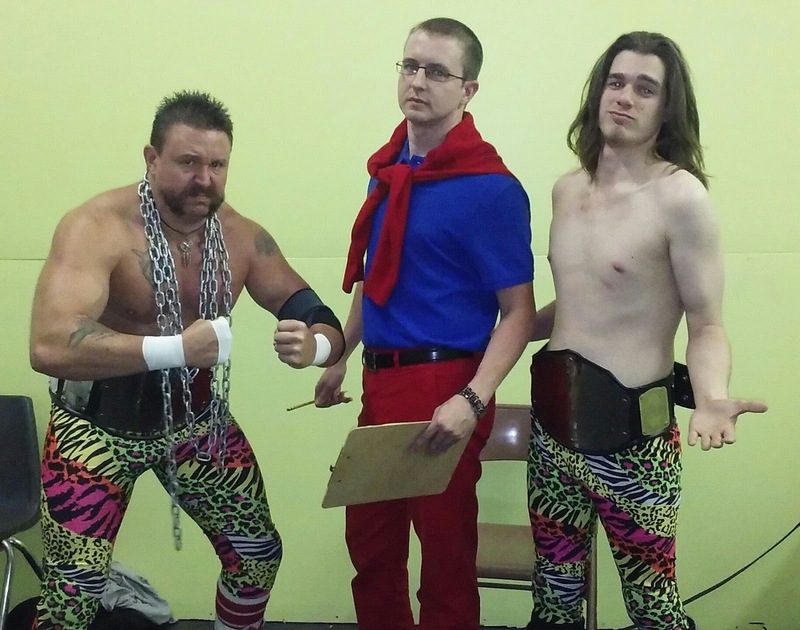 The tag team champions, Maximum Overdrive, are gearing up for a contest against Disciplinary Action. Ax Allwardt and Scott Phoenix, along with their manager J. Wellington Beauregard have put together a string of impressive title defenses. 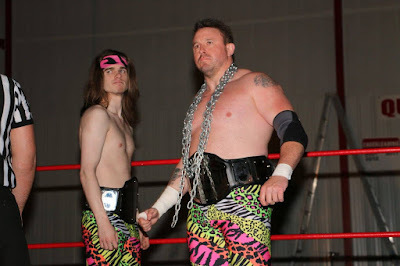 I'll go out on a limb and call them Stride's most dominant tag team champions. 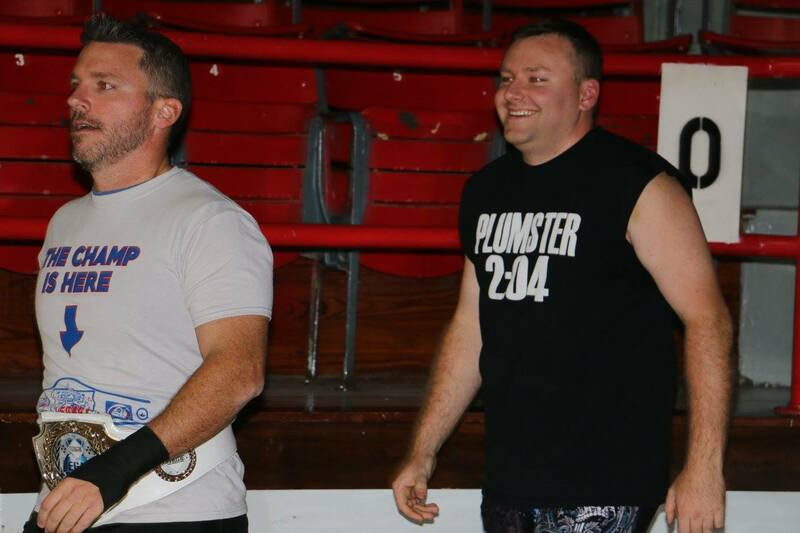 I'll have to check the record books too, but I think the duo is the longest reigning tag champs the company has had. Jerry Travelstead aka T-Dog and Josh "Stone Cold Plumster" Plumlee are educators by day. The two have a passion for professional wrestling like few people I've met before. They've taken that drive and desire and have trained in the ring. T-Dog was the first Stride Pro Wrestling Legacy Champion. Now he and Plumlee, known as Disciplinary Action get a shot at tag team glory. Plumlee enters this match with a huge advantage. 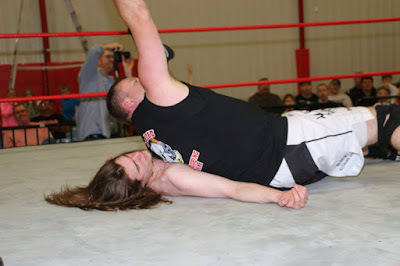 You may remember back in May he and "Cowboy" James Storm beat the champs in a non-title match at the Brave the Storm fundraiser in Pinckneyville. Some may argue that T-Dog is no James Storm, which I agree. But that match ended with Plumlee pinning Phoenix. T-Dog's passion and desire to improve can't be underestimated in this match. If the champs get too cocky Saturday night, there could very well be new champions crowned. No doubt J. Wells has been preparing his team for this defense. Ax has done a great job taking Phoenix under his wing as Maximum Overdrive has gelled nicely since forming after Ax lost the Stride Pro Wrestling heavyweight title. They're not ready to give up on those belts either, so this match up will be one for the ages. It's old school vs. new school in the middle of the ring. See you Saturday night at 6:30 p.m.